Bernard O'Shea started out in entertainment at an early age playing traditional Irish music, around Europe. He also worked in the National Theatre of Ireland, the Abbey Theatre. 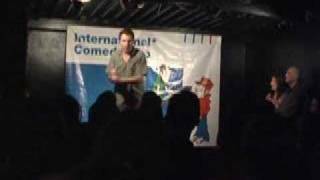 He won the Harp Newcomer Comedy Award in 2000 and has performed in Montreal'sJust for Laughs comedy festival in 2005 and at the Kilkenny Cats Laughs festival in 2005, 2006 and 2007. He also writes the TJ and TJ sketches on Ireland's Today FM. Sorry. We have no listings of forthcoming performances by Bernard O'Shea.